I have always had very sensitive skin. In my teen years I was fortunate enough to see a dermatologist to treat my acne, and even more fortunate after having my boys that my hormones seemed to change and get my acne under control. I do still have to be very careful about what I put on my skin. Now my main skin care focus is trying to keep away pour clogging blackheads & oil, but also trying to maintain a youthful glow while preventing fine lines and wrinkles. So I conducted a survey to find a resolution to my problem. These disks are amazing! My skin felt tighter, brighter, and smoother after the first use. I got compliments immediately from people that didn’t know I’d done anything different. These disks help with my making my skin look more youthful and take care of all my yucky acne issues. 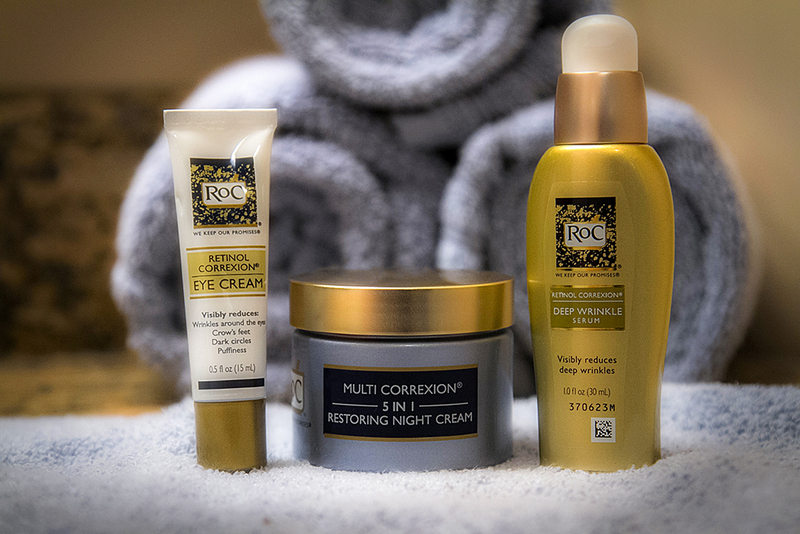 The RoC Daily Resurfacing Disks are very messy so I use them in the shower on my face, neck, décolletage, back, arms, or any rough areas. Again, I love this skin care product. I use this cream every night after I wash my face and have had no breakouts. This has no SPF in it so it’s meant to be used at night time only, but I love to use this right after using the RoC Daily Resurfacing Disks. I have been using both of these skin care products for two years now and I feel like it has helped tremendously! It has made me feel more confident and youthful! This was the right choice for me then because it’s cost effective and time efficient.